Emotions can run very high during a personal injury case. Both sides have the opportunity to play dirty. Why? The ego gets in the way. The ego allows the good judgments to be blocked. This is why some create the chaos they do. Both sides go into this situation thinking they are right. Both sides get reactive. Both sides allow their emotions to carry them through, allowing for many mistakes to be made. Does any of this sound familiar to you? This is not the proper way to handle this. Personal injury cases aren’t about who was right and who was wrong. Personal injury cases are about doing the right thing, according to the situation at hand. This is why you need a good lawyer on your side. A good lawyer operates on objectivity. A good lawyer removes emotions and uses logic. Logic is what your case needs. It’s what any case needs. You need someone who will work with you, determining what is right. You need a lawyer who will be cool, calm and sollected. Some of the best lawyers in Oklahoma are the ones who have been through the same things. These are the people who understand what you are going through. 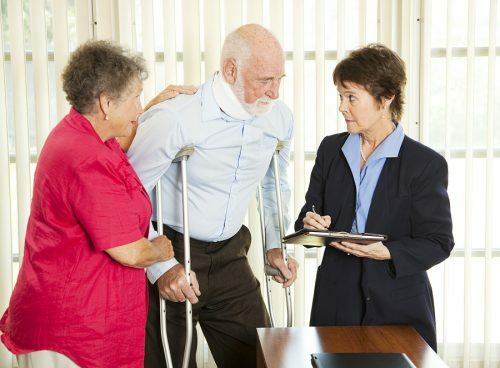 A good personal injury lawyer is not just about the law, he/she is about the client. Are you looking for a personal injury lawyer? Check out the site for the Oklahoma Bar Association. This list offers a comprehensive look at the best lawyers practicing today. The link is down below.